Curbless showers, often called no threshold showers, walk-in showers, or barrier free showers, are becoming increasingly popular in both new construction and bathroom remodels. Not only do they look amazing, they can add handicap accessibility to a bathroom. Bathrooms have really changed over the years – from a simple utilitarian place to do your business to a spa-like retreat in a huge space. There are a lot of great ideas for bathroom remodels, and a curbless shower is probably the best one. Curbless showers are usually paired with frameless glass shower enclosures for a luxurious high-end look. These two elements allow the shower to visually disappear and make the room look larger. In most homes, a shower is built with a preformed basin or shower pan that is placed on the subfloor. The shower pan has a short (about 4″ high) wall or ledge that the glass shower enclosure rests on. In a curbless shower, the glass enclosure goes all the way to the floor, so there is no ledge to step over. The bathroom flooring is continuous from wall to wall, which makes the space look bigger. However, designers have also used a complementary surface like teak slats in the shower area, which looks great. A traditional shower with a raised ledge is not handicap accessible, because a wheelchair can not go over the ledge of the shower pan. 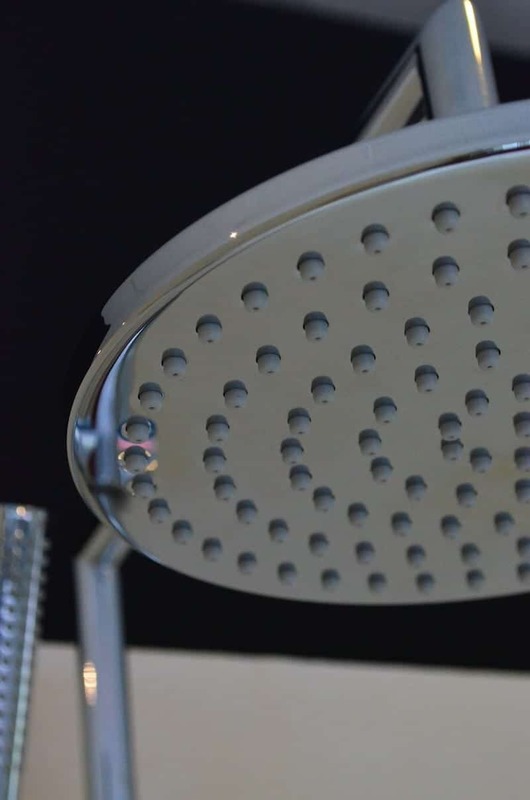 It can also be difficult for the elderly or those with mobility issues to get into a traditional shower. A curbless shower solves that problem because there nothing to step over. If you’re considering installing a curbless shower, it’s a good idea to make it completely handicap accessible. Following the concepts of universal design, can help you stay in your home as you age. SF Gate has an article with useful information on making a shower handicap accessible. This Houzz Ideabook has eighteen bathrooms with curbless showers that are sure to inspire you. Curbless showers are a great way to add accessibility and make a bathroom look like a luxury spa retreat.